Dance to the rhythm of your heart at Atlanta DJs, owned by Ted and Nick Crowder, both are professional DJing leaders of the industry. 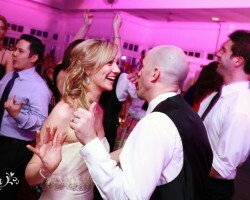 The two (2) best friends both are delighted to give customers full satisfaction using their honed DJ skills. Ted and Nick have already served many types of events across cities. They were seen at weddings in Atlanta, business meetings at Florida, holiday get-togethers at Alabama and social gatherings at the Georgia coastal line. Atlanta DJs offers top notch up-lighting services in different colors for more elegant room effect, projectors and karaoke for events. Choose mainstream music made by Atlanta DJs today and see genius experimentalists of the hippest and trendy music. Lethal Rhythms is owned by International DJ Joel Rabe (CEO and founder.) Together with his Atlanta disc jockey team, the group has been featured across areas at the SouthEast, with exceptional performance tracing back to 2003. 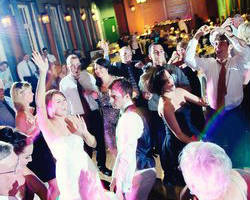 Lethal Rhythms is a professional Mix DJ/MC’s, videography and lighting services company. 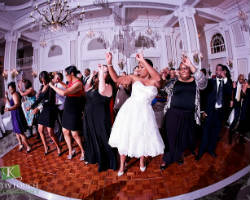 The group has traveled across the country to create high energy dance floors for brides. 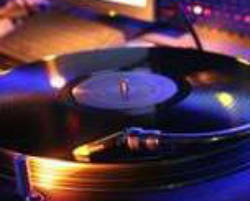 Its DJs are able to socialize, keep a harmonious atmosphere and blend in while everybody dances. According to reviews, their party was a huge success, thanks to the good hands of DJs at Lethal Rhythms. Some of the featured mixes to download at the site are: Lethal Rhythms Mandarin Cocktails Mix and the June Week 4 Wedding Mix Sample – Younger Demo Mix. Where, a unique platform is used to mix and edit the songs as requested by the guests. Wedding Wire Couples' Choice Awards 2011-2014 and The Knot Best of Weddings 2012-2014. Glass Dee Entertainment Atlanta DJ is composed of 10 disc jockeys. 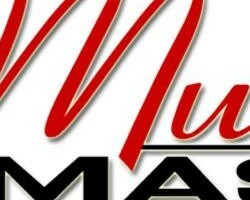 Spearheaded by DJ Glass Dee, the group is able to cater all music mobile needs, across the state of Georgia. Glass Dee is a one-stop shop of soundtracks for brides and wedding venues. The company also takes pride of the best lighting packages, which is offered together with 50% to 60% discount to customers upon booking. Experience DJing 101 with the team’s expert knowledge on dealing with guests, Glass Dee and its set of DJs in Atlanta, GA aims on getting to know them, relating with them and being there on the journey. The Knot Best of Weddings 2010-2014 and Wedding Wire Couples' Choice Awards 2014. Established in 1993, S & S Sound DJ Productions knows that this is one great occasion for new couples, where their own personal tastes are used. For this reason, the hip mobile company has helpful tips and advices posted at its new wedding website and, as well, the main website, where most of the talk is about choosing the right music entertainment and other needed features for the full celebration of your weddings. 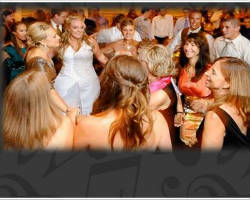 At the reception, S & S Sound DJ Productions will help you organize the dedications, activities, dances and timing of music. 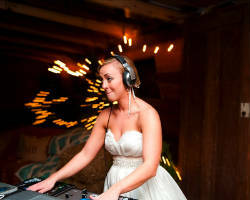 Compared to other music organizers, it aims to stray focus from the DJs going to the most important set of people at the event, the Bride and Groom. Currently, its end of summer wedding deals was able to gather positive reviews from clients, which was provided with optimal special effects in lighting and free fog features from an Atlanta Disc jockey. 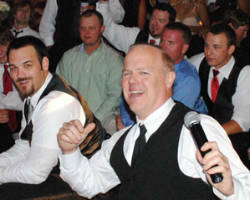 Celebrate wedding vows with good music at One Sound and Entertainment, the no.1 music source in Georgia, today. Aside from a set of talented DJs and professional audio visual equipment, One Sound and Entertainment now also welcomes avid fans of its online radio station, "That's Good Radio." Where, you can hear live streaming and timeless music beyond expectations, all day. Experience and enjoy musical arrangements of hip hop, house, afrobeat, R&B, pop and neo soul. Basic amenities covered by all packages are free consultation, emceeing, special requests and dedications, planning with wedding vendors and full music set-up in areas. See DJ Mark "Battle" in action only at One Sound and Entertainment. A toast to the bride and groom! Pulse is today’s leading behind the scene event specialist. In mobile solutions, Chris Meeks and his team are able to provide high class audio facilities, colorful lighting and clear video projections. Chris is a master DJ, with over a decade of business experience in music provisions for events like weddings and prom nights. Pulse is just a small group, who offers good quality in sound engineering and intelligent lighting design. Additional services are the wireless speaker systems large event facilities / large guest count, multi-room applications, custom gobo projections, wash lighting, intelligent lighting and video projection. 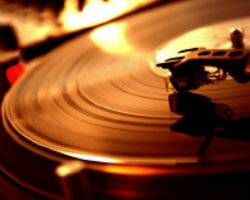 Pulse has the art and style of DJ’s that starts with an elegant selection of CDs and music with good vibes and rhythm. Fonix Entertainment DJ's mix music genres from the 40s to Top 40, specializing in Ceremony music, dance, hip hop, jazz, EDM and pop mixes. 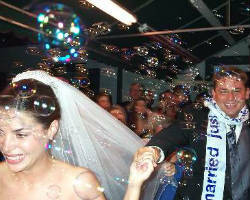 Fonix offers complete Wedding coverage with Wedding planning, lighting design, and decor furnishings. Focused on DJs with proven success to match the clients style and desired energy for the night. What makes Fonix unique is their free Bridal assistance. Fonix always aims high for your vision of the perfect party, while educating clients with entertainment advice. Check out our reviews and awards online! Get a free quote today! Congrats to you and yours! Rob Clark is most loved for his candid and friendly attitude towards guests at the party. His 20 years of experience on the dance floor and superb DJ styles have been proven to make everyone comfortable and happy, creating timeless stories you won’t forget after. His secret is to read the crowd and, from then on, influence a fun or romantic atmosphere. Other provided mobile services are expanded professional lighting system, bubble machine, flutter-fetti Canon and karaoke system. Rob follows a philosophy that every guest is “NEVER anything "cheesy," embarrassing, or off-color.” Wedding Wire Couples' Choice Awards 2014 and DJ Best of Wedding.com. ACE Disc Jockeys has been in the business since 1988. It is spearheaded by President and Owner Mike Applewhite. Being one of the most important aspects of the wedding reception, the classic mobile company is known to fulfill couples wishes on having a great set of music, paired with effective planning, for one successful event. ACE Disc Jockeys will be there to assist you in every way it can, from the start until the last touches, with aims of going beyond client's expectations. The team places itself from "behind the scenes" and builds positive relationships with your choice of vendors in catering, photography and videos. Music is also love in creative words. Drop by the ACE Disc Jockeys for utmost fun and glee, today!